Introduce the purpose of your presentation. 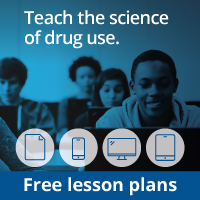 Indicate that you will explain how the brain basically works and how and where drugs such as heroin and cocaine work in the brain. Tell your audience that you will discuss the concept of "reward" which is the property that is characteristic of many addictive drugs. NIDA. "The Neurobiology of Drug Addiction." National Institute on Drug Abuse, 2 Jan. 2007, https://www.drugabuse.gov/neurobiology-drug-addiction. NIDA. The Neurobiology of Drug Addiction. National Institute on Drug Abuse website. https://www.drugabuse.gov/neurobiology-drug-addiction. January 2, 2007. Explores the consequences of drug abuse on the brain and body and introduces the topics of prevention, and treatment.